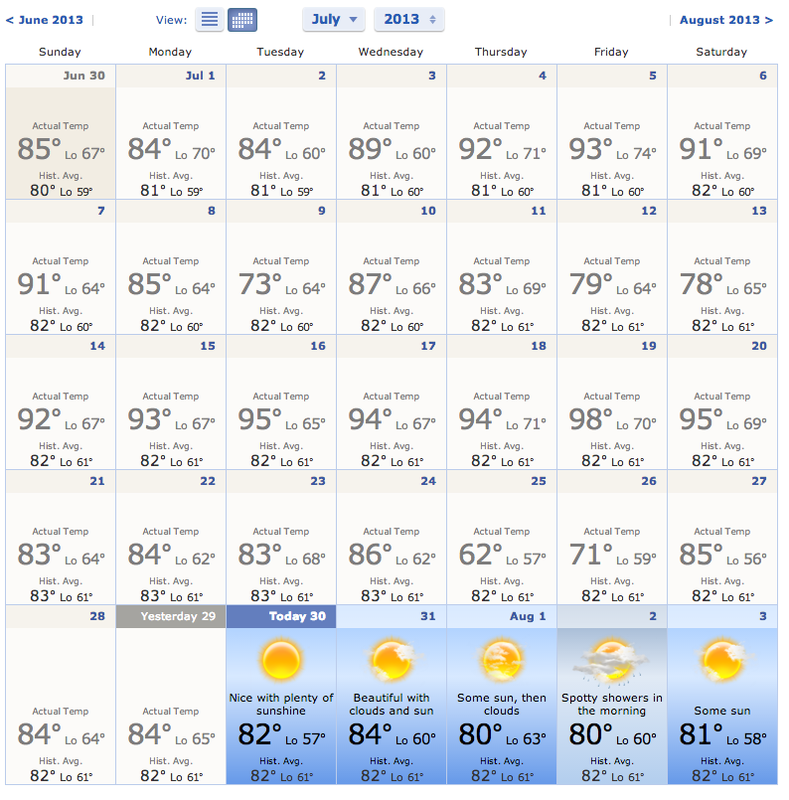 Well, it seems as though the worst of the summer is behind us. Here is a snapshot of the crazy roller coaster of July weather. Yes, it is very evident that we live in New England. But, it is only July 30th. Even though we’ve experienced some crazy summer weather with heavy rainfall, hot daytime temperatures, warm to hot night-time temperatures, followed by cooler days and heavy rainfall, the current weather pattern that we are in is pretty refreshing for person and turf. Both golf courses have battled extremely well given the circumstances, and even though this is a nice break for the turf, it doesn’t mean we can let our guard down. You will still see us out there in full force keeping greens syringed (hose watering) on the surface. The air temperatures are significantly cooler, but the humidity is also low, causing evapotranspiration to take place at a higher rate. You will also see us taking advantage of this cooler weather pattern to get some necessary summer treatments done to the greens. We will be needle-tining (poking pencil thin holes in the surface) most greens surfaces and rolling the green immediately following. We will also be lightly topdressing and pro-seeding (dropping new seed) on most greens surfaces. This is done to help increase turf density as some of the older plant tissue dies off, the seed will be incorporated to take over. Thank you for your continued support. We will continue to work hard on providing great playing conditions until snow fall! See you on the course!